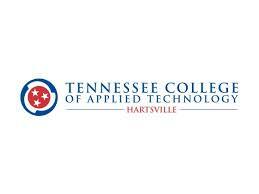 The Tennessee College of Applied Technology Hartsville was created by the Department of Education. Classes began in June 1965, and have been operating continuously. The College is now governed by the Tennessee Board of Regents.The College is located one mile east of Hartsville on Highway 25. Its setting is a beautiful 20-acre valley near the historic Cumberland River and Old Hickory Lake on Historic Avery Trace.Tennessee Colleges of Applied Technology have been provided in all sections of the state of Tennessee. Their purpose is to meet the needs of residents of the State for occupational and technical training preparatory for entry into business and industryThank you for your interest in the Tennessee College of Applied Technology Hartsville. Your interest in the College indicates that you desire a better future for yourself. The fact that you may choose to give us the opportunity to convey our knowledge and skills to you pleases us very much. We are interested in you and your future.